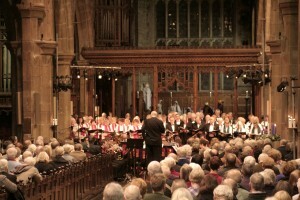 introduced and conducted by DR SIMON LINDLEY, Music Director of Overgate Hospice Choir. 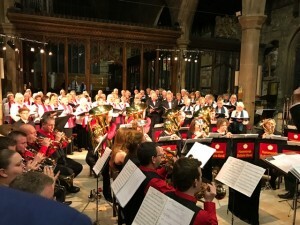 A wonderful evening of thrilling traditional music for all to sing, enhanced by exciting works from our famous GUEST BAND, HAMMONDS SALTAIRE with celebrity virtuoso cornet player PHILLIP McCANN as well as special Carols by the Choir – a number of which involve audience participation too. Something for all the family. Early booking and arrival is advised for this perennially popular concert – one of the real highlights of the Calderdale Christmas Calendar.